The sequel (currently titled WATER LILY) is anticipated for March 2013. 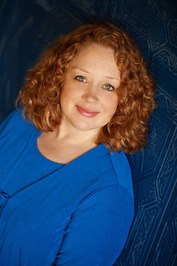 Please welcome Anne to Alison Can Read! 1. Please describe Lies Beneath in one or two sentences. 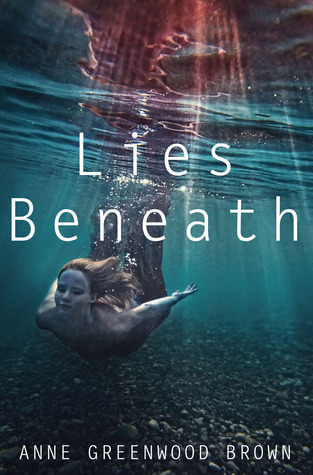 LIES BENEATH is an evolution story about a merman who leaves his animalistic ways, adapts to a new situation, and learns to become human. 2. Most YA books feature girls as main characters and nearly all merpeople books do. What inspired you to choose a boy as the main character? It wasn't really a conscious choice. I was writing an adult contemporary novel with a character who worked on a ferry boat on Lake Superior. Every night I kept dreaming that the guy was diving over the rail of the boat into the water. After about ten nights of that, he dove and burst out with this amazing tail! I sat up in bed with the first line of the novel running through my head: "I hadn't killed anyone all winter, and I have to say I felt pretty good about that." Oooo a fellow Minnesotan! I'll second those suggestions. On the Wisconsin side I'll add Madeline Island, and on the Michigan side, the "Pictured Rocks." 4. What are some of your favorite YA books - either current or older? The Book Thief, Going Bovine, Anna and the French Kiss, Eclipse (for the tent scene), all the Harry Potters, Nightshade, Shiver, The Fault in our Stars, Daughter of Smoke and Bone . . .
5. What is one piece of writing advice you can offer other than the ubiquitous read a lot and write a lot? If it isn't fun or coming easily, it may be that you're writing the wrong thing. I tried for YEARS to write adult contemporary but it felt so forced. It didn't sound like me. Finally I got around to trying MG and YA. It was like a smack to the head. Finally everything clicked. Everyone has a unique writing voice, and that voice is best suited for something. Find that something. It might not be what you originally thought it would be. Great interview! I enjoyed reading it. I'm more excited about reading Lies Beneath now. It's definitely different then the usual YA merperson book. I second that! This book sounds great! I recently got a list of must-read mermaid books from another blog I follow. I love the idea of immersing myself in mermaid lit--uh, you know, when I have the time. :D I'll definitely add this one to the list! Thanks for sharing it! Great interview and I enjoyed this story too. Calder and his sisters. I love some of those books. They were really good. :D And Mermaid Books rock! Along with Minnesota. Love that first line. Excellent interview! Great interview! I love the writing advice in the last question. Awesome interview! I love how the story idea came about, so cool:) This is definitely going on my to-read list! Cool interview! I plan on reading this one soon and I'm curious about the male mer main character. He definitely sounds really rough around his edges. Great interview. What's cool about this book is that it's about a merman. I just stumbled upon this book in a catalog today at work, and I am so happy that you coincidentally interviewed the author! I am very intrigued. Also, I visited the Pictured Rocks mentioned in the interview just last Saturday. They are amazing - I definitely agree that they should be seen.